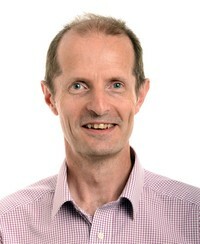 Robin Shattock began his career in HIV immunology at St. George’s University of London. The main focus of his research has been the investigation of the mechanisms of mucosal HIV transmission and development of novel preventative strategies appropriate to a developing world setting. This has led to the establishment of international collaborations aimed at preclinical identification, development and selection of microbicide and vaccine candidates prior to formal clinical efficacy trials. His publications include over 130 peer-reviewed scientific papers on HIV/AIDS published in a range of peer reviewed journals. Prof Shattock has secured funding from the Wellcome Trust, NIH, European Commission, and the Bill and Melinda Gates Foundation. Prof Shattock leads the Mucosal Discovery Team for the Duke CHAVI-ID, the Center for HIV AIDS Vaccine Immune Design funded by NIH. Previously, he coordinated the EUROPRISE Network of Excellence on Vaccines and Microbicides (www.europrise.org) that coordinated EU funded research in this area across 40 institutions. In 2011 he moved to Imperial College to take up a chair in Mucosal Infection and Immunity. Prof. Shattock Chairs the WHO Vaccine Advisory Committee and the Research and Advisory Steering Committee of the International Partnership for Microbicides (IPM, www.ipm-microbicides.org). He is a member of the Scientific Advisory Boards of Global HIV Vaccine Enterprise Scientific Committee (GHVE), the South African AIDS Vaccine Initiative SAAVI, the Scientific Advisory Board Review of the ANRS HIV Vaccine Research Program, and the Chinese Aids Vaccine Initiative (CAVI). Professor Shattock is on the editorial board of Mucosal Immunology and AIDS Research and Human Retroviruses and is an elected Fellow of the Society for Biology.